Welcome to the Thursday Twister -- a quick quiz with a twist. Today I'd like to propose a simple question -- what is the best vehicle to use to escape a natural disaster like Hurricane Andrew (currently hitting Florida's coast with serious fury)? To me, the selection criteria is fairly straightforward -- you need range and decent (but not necessarily Hummer levels) amount of ground clearance. 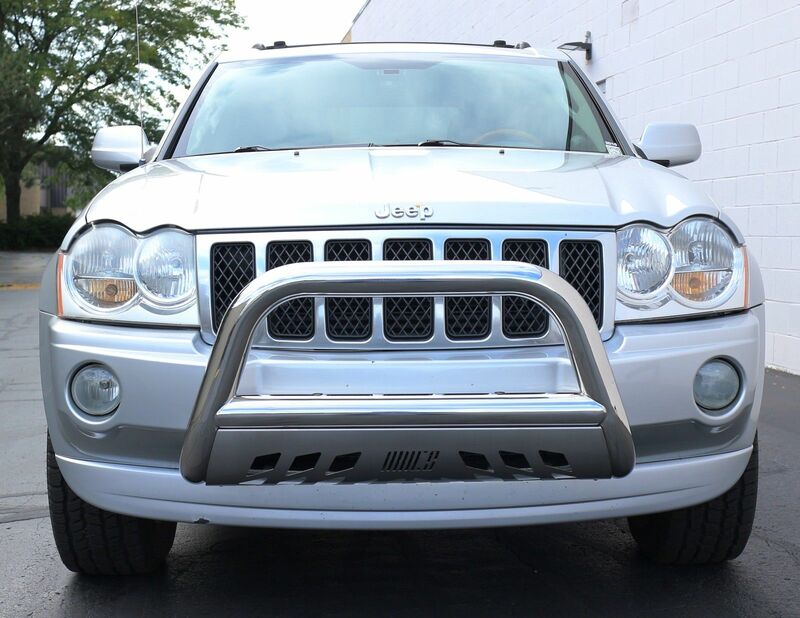 I'm going to go with this 2007 Jeep Grand Cherokee Diesel here on eBay for $13,500, that has a 21.1 gallon fuel tank and should get 20mpg on the highway for a 400+ mile range -- not bad at all for an SUV that can ford small streams. The military version was even EMP proof. I'm pretty sure this storm isn't packing any nukes, but you can never be too safe. Anything that gets excellent gas mileage since you'll probably be sitting in traffic. Anything that can carry extra gas since you'll probably be sitting in traffic. Anything that you can maneuver easily in case you are sitting in traffic and see a tidal wave. Not a bad plan Hunsbloger! 650 thumper (KLR, DR, XR) with a big tank. A 1995 Mercedes E300 diesel could be had with a optional 23.8 gallon fuel tank. It would be ideal for this sort of things. I like that idea. And at the 12mph pace Matthew is going, an E300 will be finally able to outrun something. This has "escape" written all over it. What, too obvious? Hurricane Andrew??? Childhood flashback right there. Speaking of flashbacks, why not a Mercedes M class from Jurassic Park 2? Always wanted one like that. Volvo 303. Can cross anything, you can carry everything and you can live in it. It's Thorsday what did you expect? I'll take my Sportsmobile. 4 wheel drive, 55 gallons of fuel, hot and cold running water, heater, stove, and a fridge to keep the tinnies cold. Ditto...with the optional Zombie-Apocalypse Package (ZAP28)...just in case. Diesel Unimog with a fording kit. How about Amtrak? No range anxiety there.